We are totally in love with these super cute Haundy Wee Hingey’s. 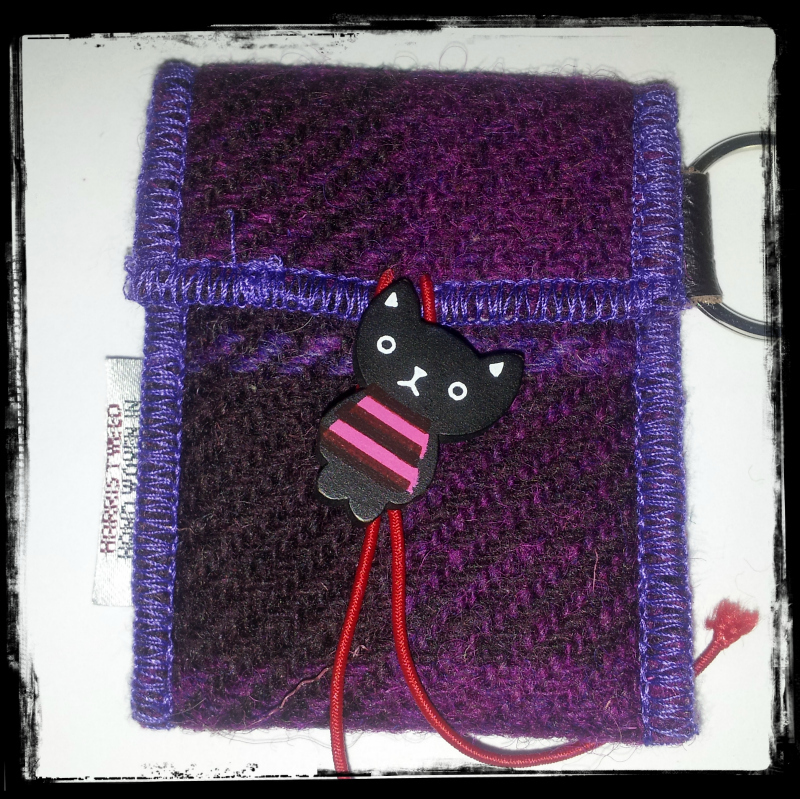 Hand made from Harris tweed in Scotland by Bertie Girl . 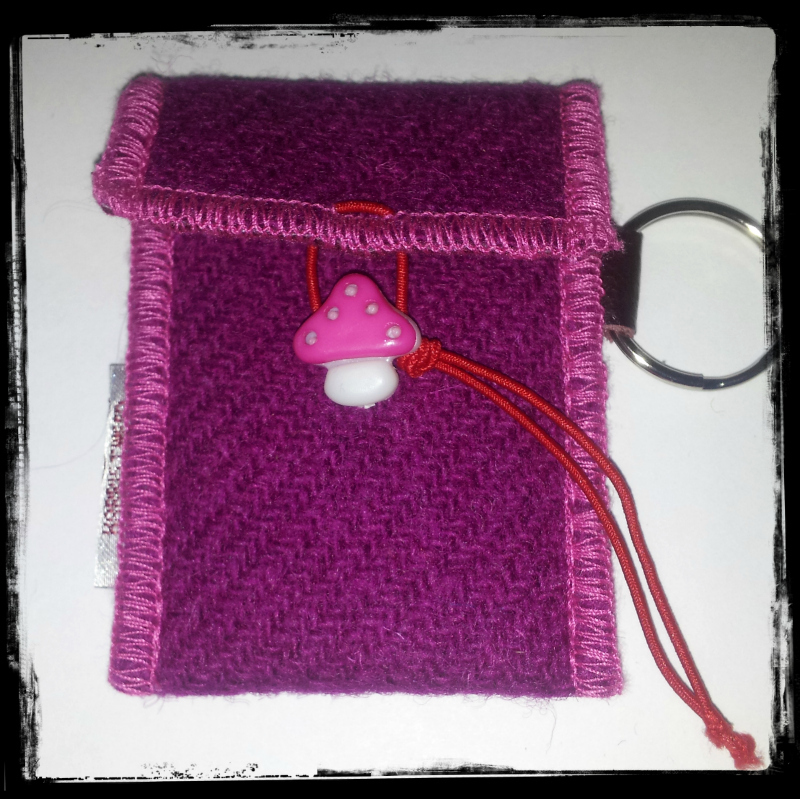 Perfect for carrying your essentials such as an iPod shuffle, emergency cash, memory stick, gum, earphones………..but maybe not the kitchen sink! 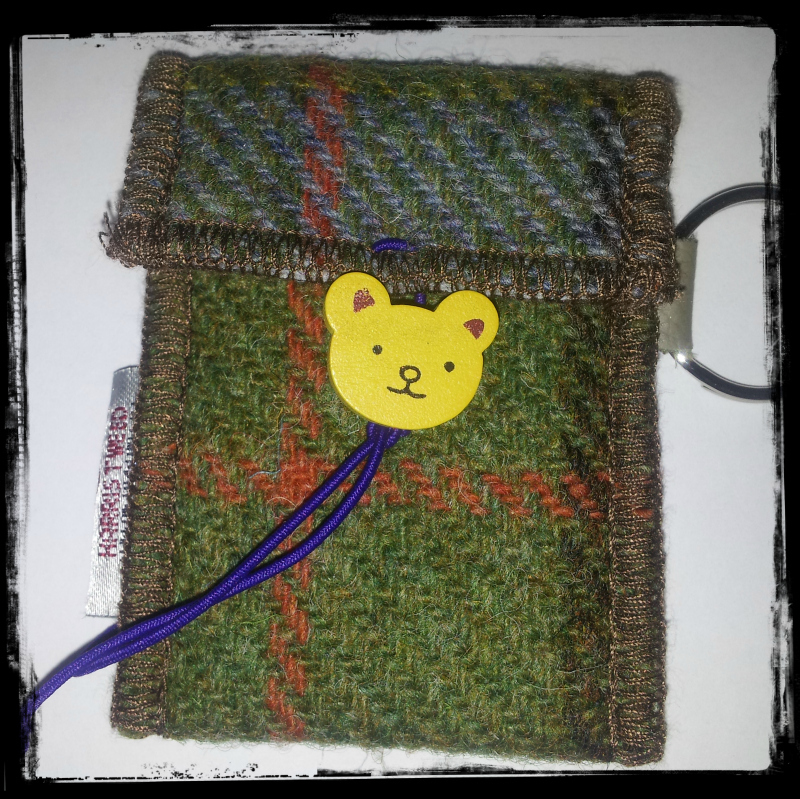 They are available at www.tweedvixen.co.uk for £8.50. 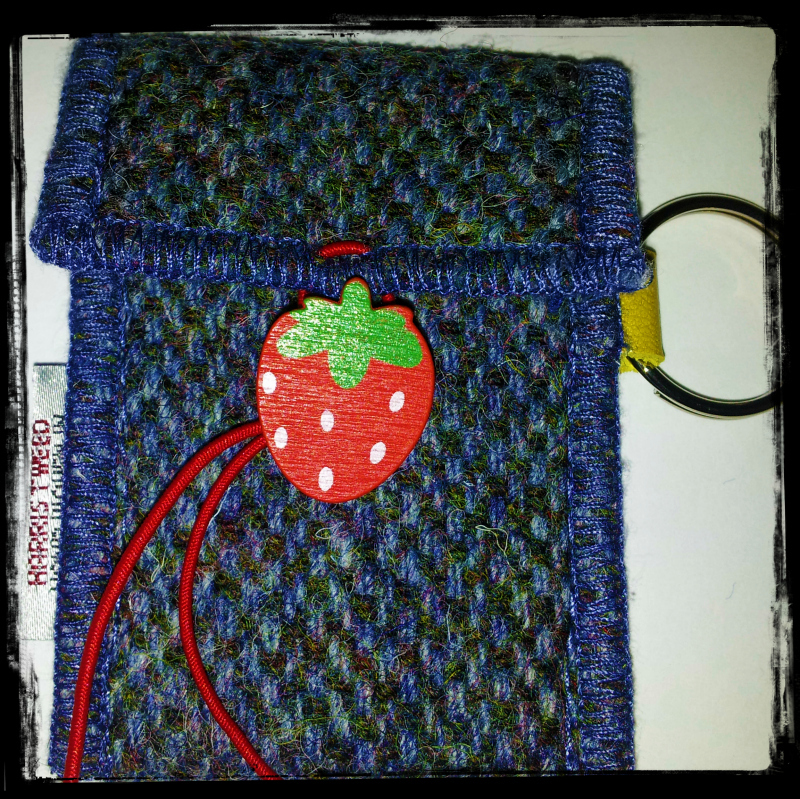 Categories Best of British..., Boutique Products, buy of the month, Harris Tweed, hot hot hot! Add a touch of tweed to any jacket with these Harris Tweed Buttons. 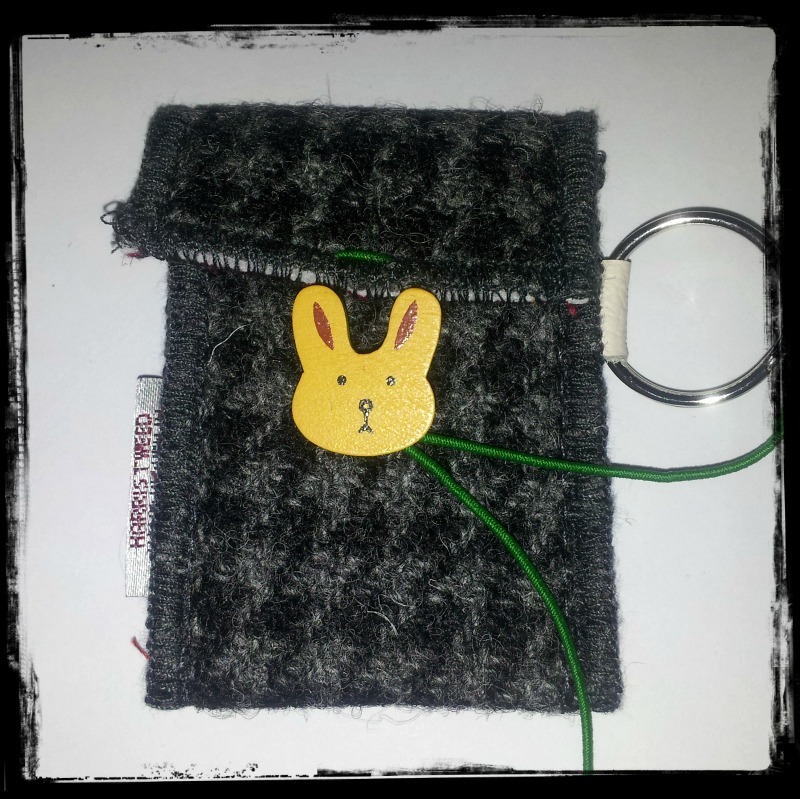 They are handmade in Scotland by the super talented Clare O’neill Textiles. They come in sets of six buttons and are available at TweedVixen Boutique for £15. When Lalydo, blogger from Brittany, left the above map with the tartans of Brittany on my Facebook page, telling me that she had thought about me when she had seen it, I was really happy. 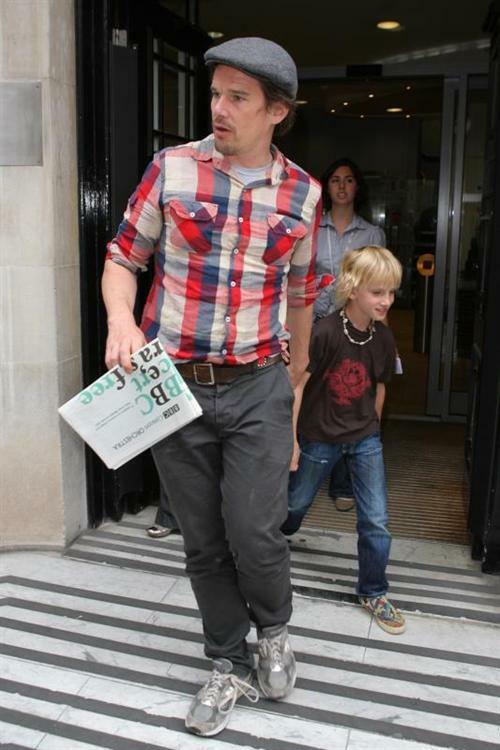 I have to admit that I had only been interested in Scottish tartans beforehand. 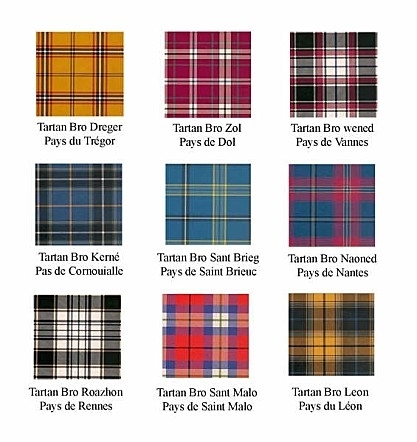 So today, I would like to tell you more about tartans of Brittany. You will certainly know that Brittany shares celtic origins with Scotland, Ireland and Wales. In order to celebrate this common heritage, an interceltic festival has been organised every year in August in Lorient since 1971. 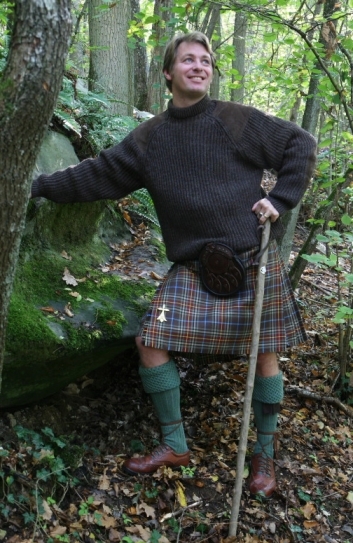 So it’s no real surprise to find kilt wearers in Brittany. 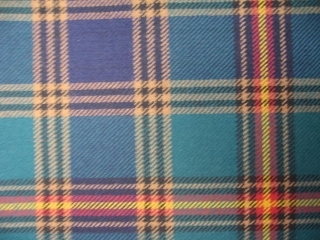 But what comes more as a surprise perhaps is the fact that Brittany has had its own tartans only since 2002. If a Breton wanted to wear a kilt before that date, he had to pick one from the Scottish or Irish tartans. 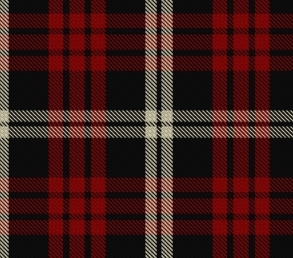 In 1999, Richard Duclos who was born in Brittany and who is the owner of the Maison du kilt (House of kilts) in Paris had the idea to create Brittany’s’ first own tartan. 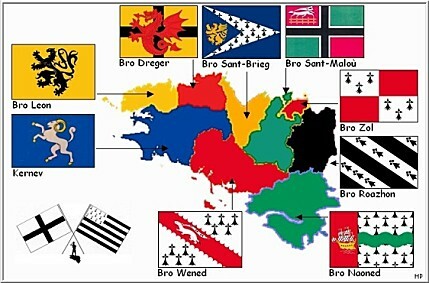 It is called Brittany National and was registered in the Official Scottish Register of Tartan in 2002. 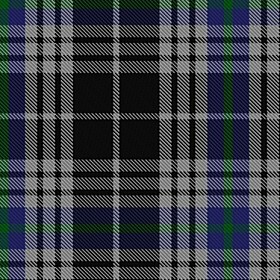 The colours of the tartan have all symbolic value: black and white stand for the colours of Brittany’s flag, green stands for the land, blue for the sea, and the nine squares stand for Brittany’s nine counties. 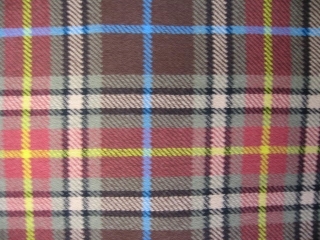 Once the tartan went into production, some associations of kilt wearers formed like the Amis en kilt (friends in kilt) and the Breizhlanders (Breizh= Brittany and landers from Highlanders) and they were all so enthusiastic about tartans and kilts that another nine tartans were registered, one for each county. 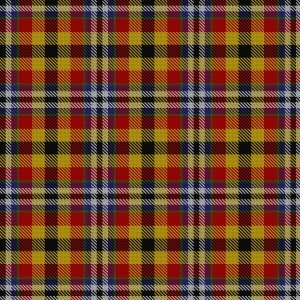 The colours for the tartans were chosen from the colours present in each flag. TartanGirl Alba writes for Tartangirl’s Wardrobe, the first french blog dedicated to tartan and tweed. 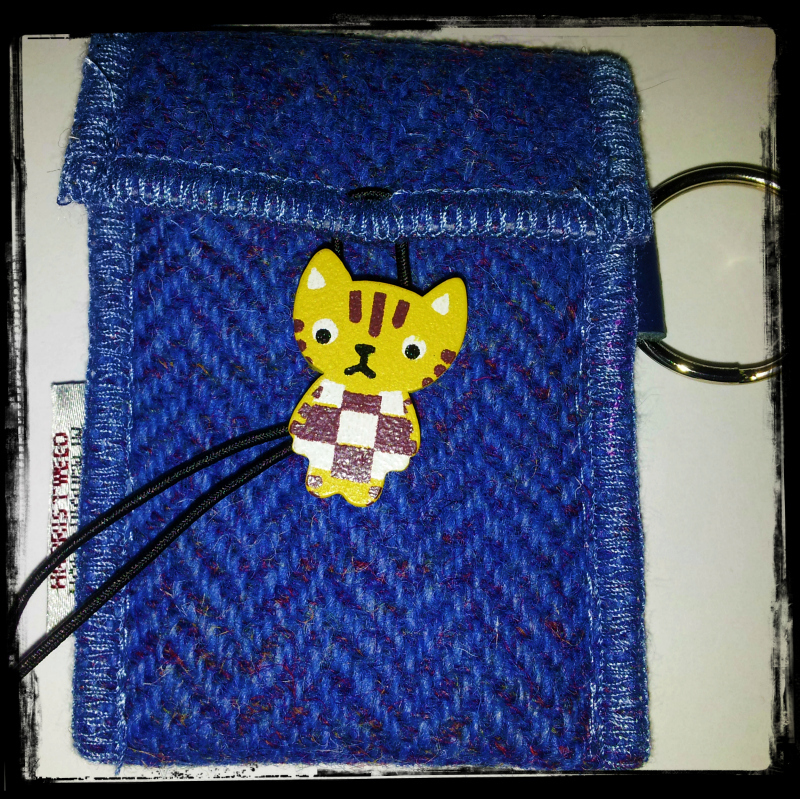 She is a lover of Scotland and British style. Last year’s autumn/winter catwalks were dripping in tweed with several top name designers taking inspiration from the timeless classic. But what are the origins of this fascinating fabric and why has it remained so popular for so long? Tweed was born in 18th century Scotland and came about when weavers wanted to create a thicker, heavier cloth that would withstand the cold climes. They developed the diagonal line running through the weave, which became known as the ‘twill’. 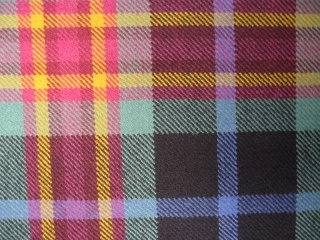 We know the fabric as ‘Tweed’ today, thanks to a London cloth merchant who, when the fabric was delivered to him, misread the word ‘Tweel’, the Scottish spelling of twill. The method created by the Scottish Weavers produces a coarse, dense fabric, generally dyed in earthy colours that has become as much a part of Britain as fish and chips and is just as popular today as it ever was. 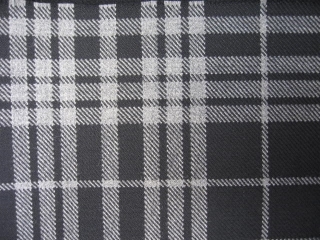 Thanks to its durability, Tweed became a commonly worn fabric throughout the 19th century. Today tweed is synonymous with high quality men’s suits and country pursuits, mainly due to the world famous Tweed maker, Harris. Harris Tweed originated in the Outer Hebrides during the 18th century and was made popular amongst the British aristocracy when Lady Dunmore introduced it in the 1840’s. It was used to make hunting, fishing and shooting garb and has become forever associated with the country gent. Although the fabric lost popularity after the Edwardian period, Tweed enjoyed a resurgence in the 1960’s when it was worn by mods. Later on, Sloane Rangers and those that favoured the preppy style invested in Tweed suits, hats, bags, overcoats and jackets. Harris Tweed is the only entirely handmade fabric still available, but other types of tweed are still associated with quality and tradition. Today’s technology has allowed Harris Tweed to create a lightweight version of their cloth, making it easier to create wearable tailoring for all types of occasion and not just for country pursuits. Today, Tweed is considered one of the most sustainable and environmentally friendly fabrics available, perhaps because it’s still made in practically the same way as it was 200 years ago. All the products used to create Harris Tweed are 100% natural, even down to the heathers and lichen that are used to dye the wool. The only change is that ‘waulking’, the process of stretching the cloth, used to be achieved by soaking it in human or animal urine. Today, soda and soapy water are used instead. These days you can find an array of tweeds available in a host of designs and colours that evoke the Scottish Highlands. If you’re looking for an abidingly elegant suit that exudes quality and class that you can enjoy wearing for many years to come then get in touch with us today to ask about our bespoke suit tailoring services. Jasper Littman specialise in one thing only – bespoke and semi bespoke suits measured, fitted and delivered by their visiting tailors. Their Savile Row style suits personify gentleman’s English elegance. Jasper Littman combine a contemporary approach to customer care with traditional tailoring expertise. TweedVixen Boutique sale has started. Some great reductions on British fashion to be found but with limited stock available. This stunning 100% Cashmere Hoodie is made in Scotland and is super soft. Designed and made in England by Pink Flame this Roll Neck Top is the perfect addition to your wardrobe. Super stylish Tweed Trench Coat. These are just a few examples, please visit the TweedVixen Boutique Sale for much more.